This is a ridiculously good little bottle of beer. 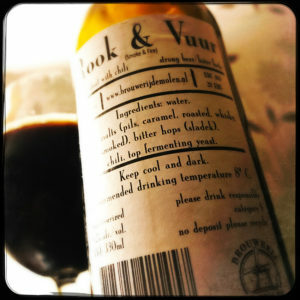 Rook & Vuur is a Smoked Stout with chilli, and it’s as brilliant as it sounds. There’s something about De Molen’s beer that I’ve never properly been able to put my finger on. It was there in my first ever drink of their beer, when I opened a bottle of Premiant Hopburst and didn’t want it to finish, and it’s here in this beer. It’s a round and meaty mouthfeel, a delicious chewiness that nobody else seems to get. Here it sets off the warm smokiness of the toffee and pecan pie of the malts, and the lightly spiced pithy hedgerow foliage of the hops, and it’s gently warmed by a soft and fruity red chilli heat that makes for a finish that is rich and creamy, hot and boozy, and all wrapped up in a smoky bacon and fresh woody tobacco finish. De Molen are still blowing my mind and my tastebuds. 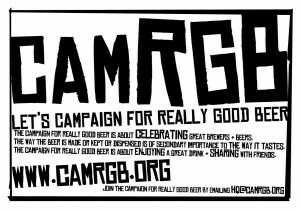 This entry was posted in Beer Review, CAMRGB and tagged 7.5% +, Beer, Beer Review, Bottle Conditioned, bottled beer, CAMRGB, Chilli Beer, Drinking, Smoked beer, Spiced Beer, Stout. Bookmark the permalink.